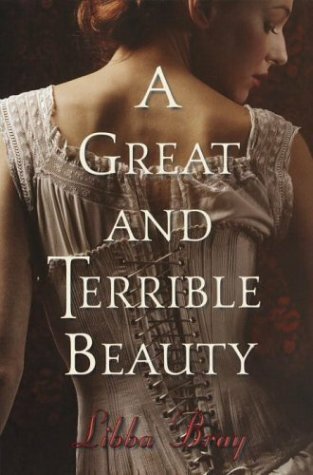 A Great and Terrible Beauty | What YA Reading? Girls who play with fire get their fingers burned. Unfortunately, Gemma’s burning did not implicate her analeptic albeit tragic and untimely death. And her life, regretfully, entails endless irritation, at least on my part. Interestingly, the only person whom I wanted to slap more than Gemma Doyle while reading A Great and Terrible Beauty was my 13-year-old self. Although I remembered slim to none of it, I’ve always claimed the novel to be an old favourite and even stored it on my prized crème de la crème shelf. Needless to say, it is currently being relocated. With shame. This novel had all the ingredients necessary to form a wonderful fantasy: a good premise, solid world building, a compelling writing style, a new girl, engaging if shallow secondary characters. Wherefore, then, did it go wrong? The entirety of the blame lies with our dear protagonist. I’ve always hated the lyrics ‘how can something that feels so right be wrong?’ Aren’t hangovers enough to answer that question? And yet Gemma’s sole motivation for the majority of her actions seems to be defiance, plain and simple (and absurd). I, for one, did not appreciate A Great and Terrible Beauty‘s ending in the least. Everything Gemma faced had been brought upon her by herself, and therefore her victory over it seemed like a cheating of fate. Perhaps, had she been fatally wounded by the adversary, she would have learned her lesson. However this is not the case. The sole of Rebel Angels and The Sweet Far Thing, the two remaining installments of the Gemma Doyle trilogy, can be summed up in one word: redundancy. Gemma messes up, everyone suffers for it, she remedies her error at the last possible minute and is cherished as a hero. Sound familiar? Gemma’s selfish nature did not help her case. I welcomed her faults– perfect protagonists remain unwanted and unrelatable– however there is a fine line between ‘human’ and ‘hellishly vexatious.’ Miss Bray, lamentably, crossed that line. This is not to say that A Great and Terrible Beauty did not have its pros. As mentioned previously, some aspects of it must have appealed to my middle school self. The Realms were a delectable escape; India’s markets made for a flourishing opening scene; Victorian England was a phenomenally criticism-worthy setting (many reviewers claim it to be anachronistically portrayed, however I don’t know enough about the period to say.) Contrary to public opinion, I thoroughly enjoyed the characters of Felicity and Pippa. Sure, they were every bit as foolish and conceited as Gemma– coxcombs and popinjays to the end– if not more so, but at least they didn’t claim to be anything else. Moreover, I cherished the novel’s dark bits, however few and far between they were. I guess I’m still looking for the perfect Gothic thriller. 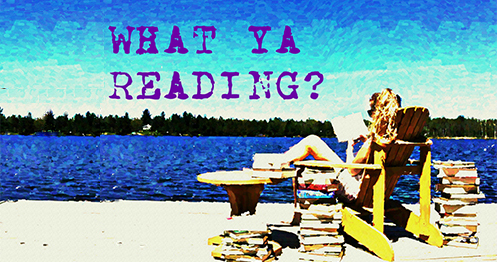 Just one more forewarning: this novel is not a romance. There are a few pages dedicated to Gemma’s adolescent libido, the key word here being ‘few’. A Great and Terrible Beauty‘s promise and potential were dismally wasted on the spirit of foolish teenagers. Fortunately, Libba Bray puts that same spirit to use in her next two novels, Going Bovine and Beauty Queens, both of which I savoured in whole. Recommended for those who frequently make use of escapism, enjoy diversion without paying heed to deeper undercurrents, and appreciate pretentious fops. 2.9/5 stars.